Steffi Graf is a professional German tennis player who has been rated by many as the famous female tennis player of all time. She is the winner of 22 Grand Slam Singles titles and also has been ranked as World No.1 for a mind-boggling 377 weeks. She is a winner of 107 singles titles and has been in 31 Grand Slam finals. 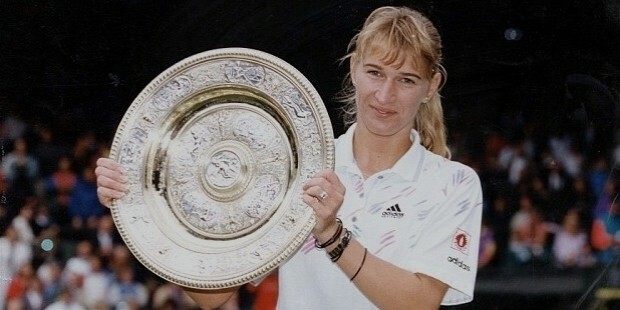 In the year 1998, she became the winner of the Career Golden Slam where she won all the four Grand Slams and also the Olympic Gold medal in the same year. Her total career earnings from tennis stand at a record $21 million. 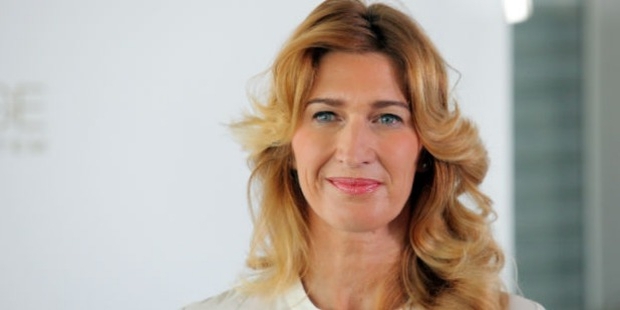 ‘Stefanie Maria’ Steffi Graf was born on June 14, 1969 at Baden-Wurttemberg, West Germany. Her father Peter Graf introduced her to tennis at the age of three. She was playing her first tournament at the age of five. Soon she began winning junior titles with ease punching well above her weight. She became a professional at the age of 13. By the year 1983 she was ranked an impressive No.124 in the World. She trained very hard under her father who was a very strict disciplinarian. At such a tender age Graf was travelling around the World participating in different tournaments without having time fun like other normal teenagers. But the intense training paid off and she climbed up the rankings to become No.6 in the World in 1985. By the year 1986 she had become one of the top contenders in the women’s circuit but was always defeated in the semi-finals and finals of major tournaments. She was losing badly to both Navratilova and Chris Evert who were the reigning champions in tennis at that moment. Again she went back and worked hard in order to be able to come out and dominate these seasoned champions. She started winning many WTA championships and indoor tournaments. But she achieved her goal when she beat Navratilova in a tough three-set match to win the 1987 French Open. 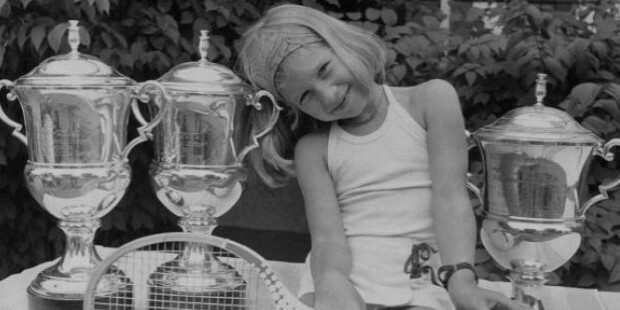 Graf had won her first Grand Slam at the age of 18, but this was only the first sign of victories to follow. In 1988, she went on to dominate the women’s tennis when she won all the four Grand Slam titles. She had taken her game to the next level and was able to dominate the likes of Evert and Navratilova with ease. She also went on to win the 1988 Seoul Olympics Gold Medal and thus achieved the Career Golden Slam at the age of 19. She was only defeated thrice that whole year and the press was already calling her as one of the best women’s singles player in the Open Era. She continued her success throughout her illustrious career and went on to win four titles at the Australian Open, five titles at the U.S. Open, seven titles at Wimbledon and six titles at the French Open. She was ranked as No.1 in the World for a record 186 weeks which was more than three full years of dominance. Her singles win-loss record stood at 88.70% at the time of retirement with a record of 900 wins and 115 losses. She was inducted into the Tennis Hall of fame in 2004 at the young age of 35. She was a versatile player who was able to play equally well on every surface winning the four Grand Slams four times each. 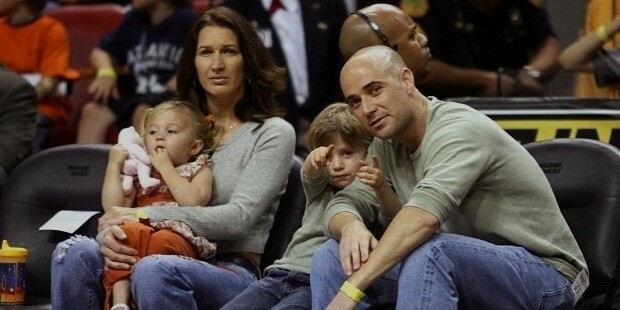 Graf dominated the tennis scene from 1988-1996 between which she was highly respected in the tennis fraternity. 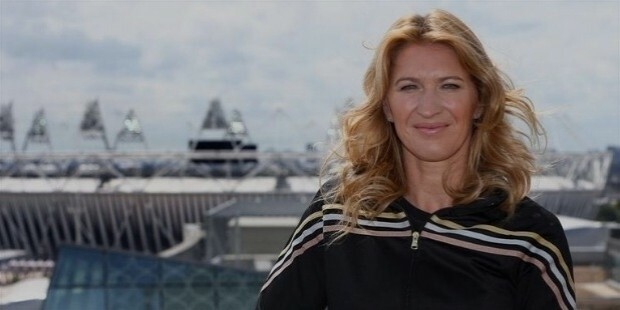 Steffi Graf has been able to reach this pinnacle of successful career as the result of years of hard work that she went through in her childhood days. Her fame and success have propelled her as one of the most recognised and loved sports celebrities the World has ever seen.